The new crossing will help meet the traffic demand. 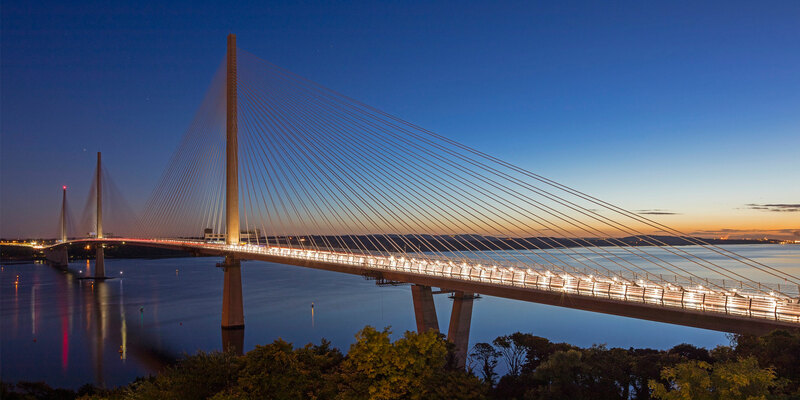 The Forth Replacement Crossing (FRC), with the iconic Queensferry Crossing as its centrepiece, safeguards a vital connection in Scotland’s transport network linking Edinburgh with cities in the north. The largest Scottish infrastructure project for a generation, the new bridge represents a major upgrade to and future proofing of the cross-forth transport corridor so vital to the Scottish economy. 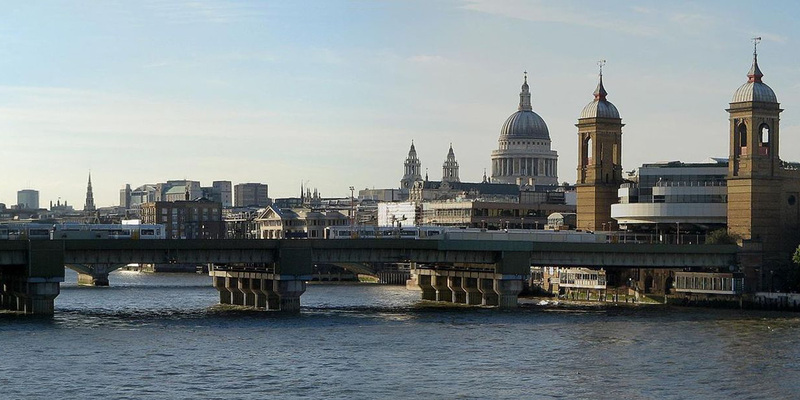 The project includes the construction of the longest (2.7 kilometres) three tower, cable-stayed bridge in the world, with the tallest towers of any bridge in the UK and the creation and upgrading of connecting roads on either side of the new bridge. During its construction, the new bridge boasted the longest pair of free-standing balanced cantilevers ever and a world record continuous underwater concrete. The need for an alternative crossing became apparent when problems were discovered in the main cables of the Forth Road Bridge which meant it could not be guaranteed to continue to provide the levels of service needed to support social and economic traffic on the important road transport corridor across the Forth estuary. Repairs to the existing bridge would have taken up to nine years, causing sustained and significant disruption to traffic and impacting on the economy of Scotland. The Crossing touched the lives of many during its development creating 1,200 job opportunities in the local area, as well as enabling many sub-contracts and supply orders from Scottish companies. The project created employment for more than 15,000 people from over 30 nationalities with up to 1,500 people on site at one time. 44% of the workforce were from local areas, and 43% from elsewhere in Scotland. The Crossing is delivering more reliable journey times and user safety has been improved through the introduction of an Intelligent Transport System (ITS), which smooths traffic flows and improves safety by slowing vehicles approaching the back of the queue. The introduction of windshields has improved the reliability of the new bridge for those using this strategic road link across the Forth. A purpose-built Contact & Education Centre provided a focal point for community engagement and educational activities welcoming over 90,000 visitors including 30,000 school pupils from all over Scotland to learn about the project and undertake STEM challenges. Sustainable construction was promoted throughout the scheme. One example was the use of 1.5million tonnes of locally sourced spent oil shale, a secondary recycled product. This material was utilised as Class 1 fill, 6P Structural backfill and was mixed with cement to create the cement bound granular foundation for the road pavement. The scheme reflects the Scottish Government’s commitment that the Forth Replacement Crossing (FRC) project will replace, but not increase, the road provision for general traffic across the Firth of Forth. It is not Government policy to provide for unconstrained growth in vehicle traffic and to attempt to do so would be unsustainable. Future travel growth beyond the opening of the FRC will need to be satisfied by increased use of public transport. As a dedicated public transport corridor, the Forth Road Bridge will provide additional infrastructure capacity for sustainable forms of travel. Planting of 400,000 new trees from the seeds of local trees, mammal fencing and crossings have been incorporated into the new roads. A Sustainable Urban Drainage System (SUDS) provides dry detention basins that provide temporary storage of runoff from the roads. Noise air and light pollution were mitigated using a low-noise road surface and noise screening structures. The Intelligent Transport System is designed to reduce traffic emissions due to the smoother flow of traffic and reduction of traffic jams and the installed lighting allows for dimming and remote control for future energy reduction. New cycleways, footpaths and safe crossing points encourage non-motorised travel in the area. The Forth Road Bridge is now a Public Transport Corridor making the journey significantly better for pedestrians and cyclists crossing the Forth, and reducing the volume of traffic crossing the bridges. The bridge deck carries two general lanes of traffic in each direction alongside hard shoulders to ensure that breakdowns and maintenance work does not cause severe congestion. 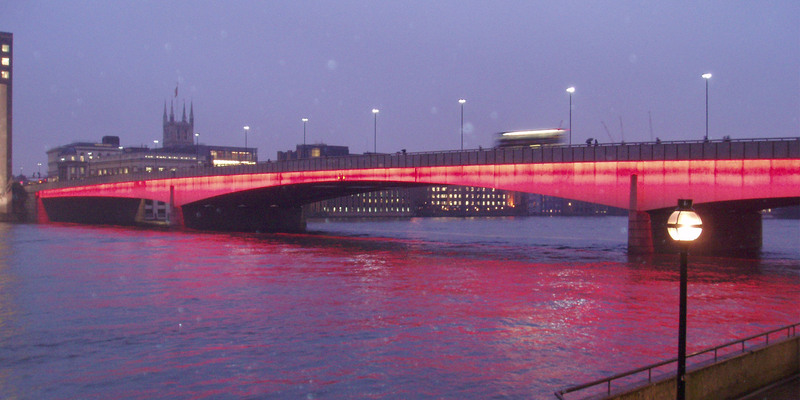 This design also accommodates buses that get displaced from the Forth Road Bridge during dangerous weather conditions. The classification of the replacement crossing as a motorway prevents a reduced level of service that would arise from use of the crossing by non-motorway traffic. The innovative bridge design, incorporating a zone of “crossed cables” at mid-span provides extra strength and stiffness, allowing the towers to be slender and elegant. The bridge’s wind shielding means that traffic is now unaffected by high winds that have in the past closed the Forth Road Bridge (FRB) to high-sided vehicles. Closing the bridge has a huge impact on the region’s economy, and recent closures of the FRB were estimated to cost the local economy £50m. Car travel is now possible in winds up to 100mph as opposed to the 80mph wind restriction which existed on the FRB. This measure, in addition to the availability of hard shoulders, provides greater reliability and a reduction in carbon-generating congestion from breakdowns. Scotland's stunning Queensferry Crossing is the world's longest three-tower, cable-stayed bridge and the largest to feature cables which cross mid-span. It is the tallest bridge in the UK. During its construction, the new bridge boasted the longest pair of free-standing balanced cantilevers ever, measuring 643.9m tip to tip, and a world record continuous underwater concrete pour of 16,869m3 over 15 days. 23,000 miles of cabling - almost enough to wrap around the circumference of the earth - suspend the bridge from three towers. These cables provide extra strength and stiffness to the structure, yet the towers remain narrow and elegant.